Stock # 6JKA68831, Regular Unleaded V-6 3.7 L/228, Automatic, 23157 mi. CARFAX 1-Owner. Transit Van trim, Oxford White exterior and Charcoal interior. Back-Up Camera, iPod/MP3 Input, PEWTER VINYL DUAL BUCKET SEATS, CRUISE CONTROL W/MESSAGE CENTER. AND MORE! Back-Up Camera, iPod/MP3 Input. Third Passenger Door, Keyless Entry, Electronic Stability Control, Brake Assist, 4-Wheel ABS. CRUISE CONTROL W/MESSAGE CENTER full trip computer and engine-hour meter, PEWTER VINYL DUAL BUCKET SEATS 2-way manual driver and front passenger seats and driver inboard armrest (STD). 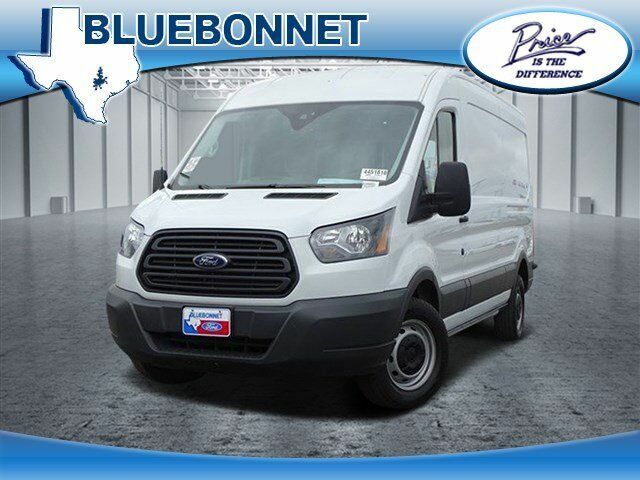 Ford Transit Van with Oxford White exterior and Charcoal interior features a V6 Cylinder Engine with 275 HP at 6000 RPM*. Edmunds.com explains "The Transit is much easier to drive and far less trucklike than past work vans. The steering is responsive, there's a relatively tight turning circle, and even the ride is much better. ".